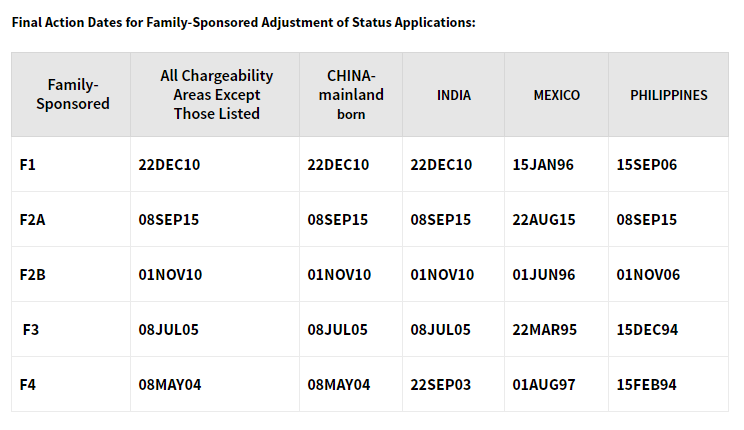 Next month, family-based applicants should consult the Final Action Dates chart for July (see below). 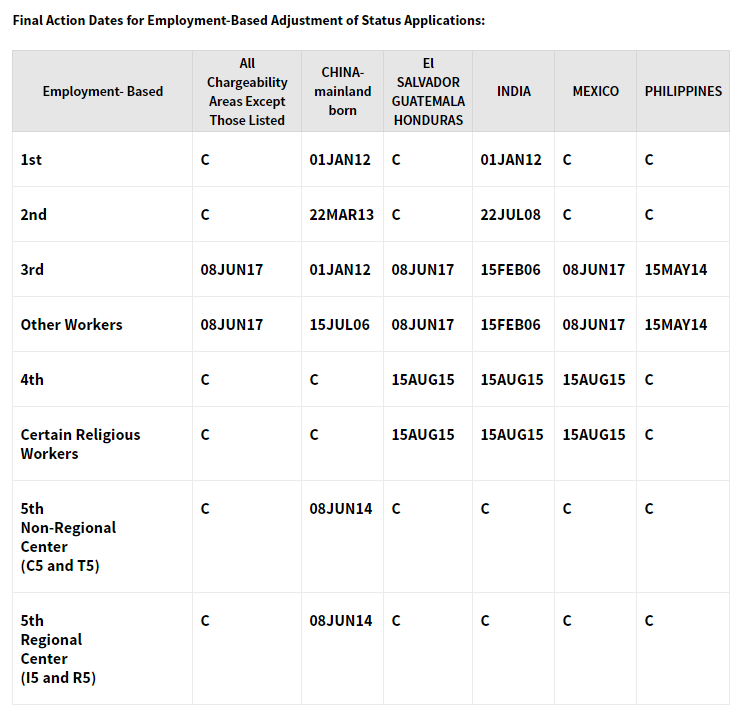 Employment-based applicants should also consult the Final Action chart for July (see below), which saw forward movement relative to the June chart in the many categories. However, EB-3 China retrogressed over 2.5 years to January 1, 2012.